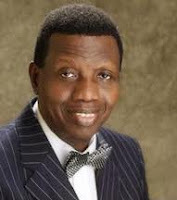 The GO of The Redeemed Christian Church of God, pastor Enoch Adeboye has said, in concrete terms that there was never a time he cursed pastor Ituah Ighodalo. He made it very clear that he does not curse people. He said he only disagreed with his spiritual son, pastor Ighodalo on the basis of his doctrine. "One of these days, I willpreach in his new church to prove my innocence. Pastor Ituah is my spiritual son and a well trained pastor. I urge the doubting Thomases to keep their fingers crossed and watch as events unfold. I will prove to critics that he's still my son, in spite of all the derogatory speculations in town." he said at the Holy Ghost service that held on Fri, Nov 5, 2010 at the Redemption camp. It will be recalled that Pastor Ituah, who was pastor in charge of Christ Church, Gbagada, Lagos parish was forced to step aside because of his marriage to Ibibun Ajayi. He had been separated from his first wife for many years and the woman was said to have remarried. The trustees of RCCG said it was against their doctrine for Ighodalo to take this step. He had to leave RCCG with his wife in August 2009. Ighodalo has since started his own church, Trinity House. Source: Tade Asifat - Encomium magazine. Daddy G.O. God Bless you sir for putting the record straight. May God continue to empower you, strenghten you, anoint you, use you for signs and wonders, do great and mighty things through you IJN, amen. But where was the Trustee when Pastor Ituah was about to marry Ibidun? He was already a Pastor in Redeem for seven years before the marriage. They did not make their comments or stated their decision then. Three years later, they now come to tell the world that they do not buy into his decision/doctrine. This is politics in the House of God and they have propelled him to his destiny/vision - TRINITY HOUSE. Just like what Joseph's brothers did to him. Pastor Ituah is a great man and TRINITY HOUSE is a great light that will shine so bright to the world and cannot be dimmed. @Anons November 11, 2010 7:18 AM..
U sounded as if trinity house a supermartket or a business venture..mmhh! Seriously my only question is, where was pastor adeboye when this wedding took place??? Because if divorced men of God should not get married how come they allowed him marry? I am very sure alot of co-pastors were at the wedding. I dont have a say as to wether it is right for a xtian divorcee to remarry or not. All i want to know is how they allowed two people tie the knot and later said it was wrong for a man of God to remarry. I am sure so many people are wondering the same. Let's face it y'all all these men are business men and their business is the church. The buffet doctrine they are peddling is just sad. They highlight the scriptures that suit their circumstances and personal goals. The GO is a disappointment, he held so much promise in the beginning. He has allowed evil men to corrupt him, that is unfortunate. Now he is tainted or shall we say he is now part and parcel of the charade. I take solace in the fact that GOD CANNOT be mocked! He absolultely cannot! For those of you that are following these men like lap dogs, I beg of you to STOP. We only have one high priest, his name is Jesus. He is the only intercessor we have. Concentrate on Him and His father and forget all these people. They are only after your tithes and offerings...!! !